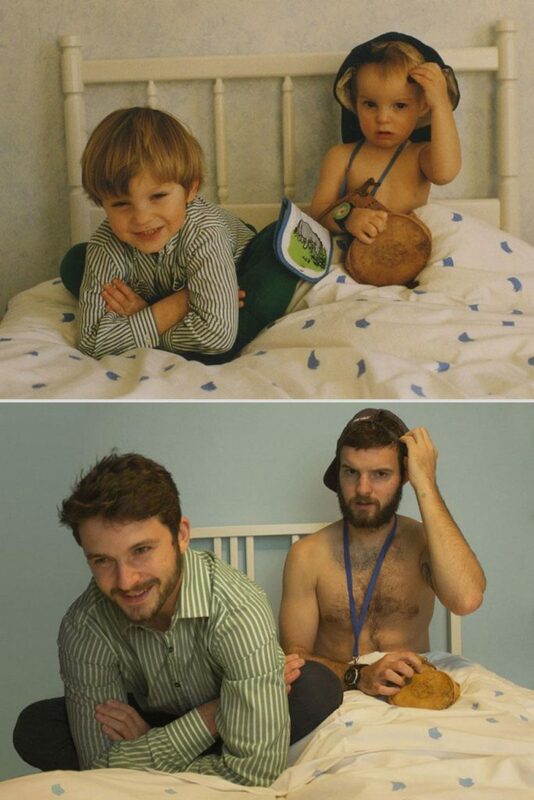 Sometimes, families decide to recreate the photos they once took years ago. Posing in the exact same way and making a collage of both the pictures, it seems to be really fun. But such photos turn out to be the most awkward ones whereas, on the contrary, these photos seem to be the most memorable ones. Surprise your loved ones by making such pictures. Not sure what type of pictures to make? Well, here is an idea below. These two brothers created this picture as a gift for their mother. She would have been surprised just like anybody else. When I first saw the picture, I thought the shirtless baby is actually a girl till I saw that he is a grown-up man. Such change much wow!